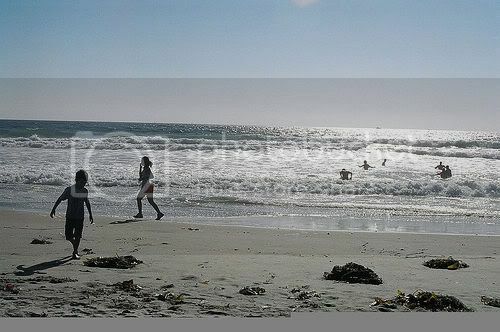 Coronado Beach – This is a very clean and idyllic beach near a major urban area. The village center of Coronado, a peninsula jutting into San Diego Bay, has a magnificent and historic hotel (Hotel Del Coronado or “The Del”) that is right on the beach. Ocean Beach – The beach (and the park) right next to the famous Ocean Beach Pier is perfect for surfing and sunning. There are several bed and breakfasts on the street adjacent to the beach where you can stay fairly inexpensively. Mission Beach – Just north of the opening to Mission Bay, this beach is actually more secluded than Ocean Beach simply because it is harder to get to. There’s a wonderful beach-side path to walk on, a roller coaster (the Giant Dipper in Belmont Park) for the kids and several beachfront condos for rent. This a perfect, central location for a family vacation. As you move further north, the landscape changes from flat, sandy beaches to cliffs that hinder access to the beach. There are a couple places to climb down to the beach in La Jolla, but it’s not easy until La Jolla Shores Park, near the Scripps Institution. Torrey Pines State Park – There are some killer beaches in this area, but they are very hard to get to. Only when you get to the northern side of the park, near Del Mar, can you park and easily walk to the beach. From here north are the San Diego “North County” beaches — Del Mar, Encinitas, Carlsbad, Solana and Oceanside. These beaches are beautiful, relatively flat and often adjacent to hotels, motels, bed & breakfasts and other accommodations where you can relax and enjoy the beach. Most of the coastline here is populated by houses and small hotels, but you can find “beach access” every mile or so. We like the parking lot and beach on the north side of Solana, where highway S21 first joins the coast as it heads north. From there into Cadiff-by-the-Sea (San Elijo State Beach) are the most beautiful “north county” beaches, and they are typically not terribly crowded. Moreover, there are simple-yet-elegant facilities for travelers in this area: good restaurants, lodging and other amenities. Moonlight State Beach – Near Encinitas, this beach provides easy access and parking to a wonderfully clean, sandy beach, with waves that are popular with surfers. You may want to check out nearby surfing schools if you are trying to learn or hone your surfing skills. Carlsbad is another wonderful surfing spot (check out San Diego Surfing Academy there), and there are some reasonably priced resorts and hotels right on the oceanfront. Oceanside is the last major resort town and beach before you get to Camp Pendleton, which is the boundary between San Diego County and Orange County. San Diego area beaches are some of the best in the world, and the area’s beach towns all have their own charming personalities — wonderful for week-long vacations or weekend getaways. Enjoy! 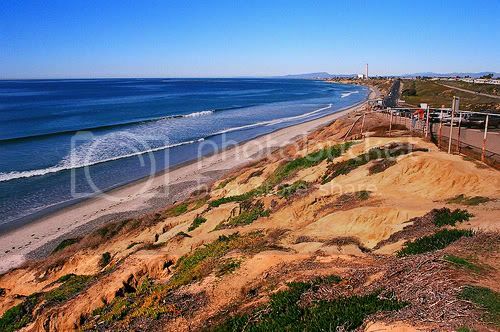 Photo of Mission Beach in San Diego by strangehill via flickr (Creative Commons) and Photo of Beach near Carlsbad, CA by Bryce Bradford via flickr (Creative Commons).